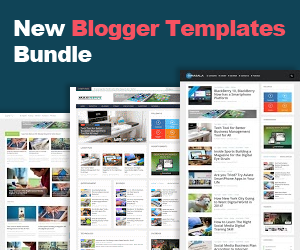 Most of my blogger templates buyers requested me how they can add splash ads or popup ads in their website. Splash ads is a full page ad that is displayed immediately after the page loads. It actually designed for mobile but my splash ads is responsive that means it will support both desktop and mobile. Replace Here paste your 300x250 banner ad code with your adsense or other platform 300x250 banner ad code. That's it. I think that you enjoyed my tutorial. Happy Commenting! 12 comments to ''How to Add Responsive Popup Splash Ads to Blogger"
Can you show us a demo? As your request, i have added demo see from above. This Pop up Ad is working but there are issues when closing the ad. I am unable to close the ad even after removing the code. Hi, how to show only 1 time, when user enter in the site. Now it's not support with this widget. We will try to find a way for this. Yes that can be done with cookies. Thanks i will contact with you soon.